In many ways the ultimate trek to ebc ! It begins with the flight to Lukla, great mountain views (and heart-stopping approach and landing !). 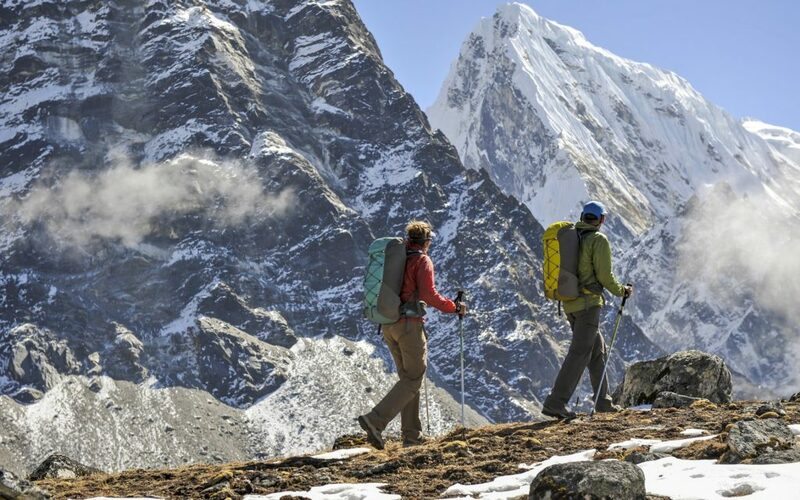 The trek itself will take you through a range of magical landscapes, interesting villages, monasteries at Monjo, Namche, Tengboche and Panboche, and ultimately to the midst of soaring peaks, with stunning views of Ama Dablam, Kang Tega, Nuptse, and Everest itself. It’s a moderately strenuous trip. Day 2 includes the grueling 600 metre climb out of the valley to reach Namche, day 4 has a similar ascent to Tengboche. Further north there are several shorter ascents, but they are made more strenuous by the effects of altitude. There are also though stretches of far more gentle terrain, and because of the need to acclimatize steadily the daily walking distances are not great. Ultimately you’ll reach 5500 metres – pretty high ! If taken steadily, and allowing the recommended days for acclimatization, most trekkers will find that they can reach their goal without undue problems.